Bitcoin is exploding like a 'Firework,' and Katy Perry went straight to the top to get some investing answers. Here's one way you know when the market is hot. 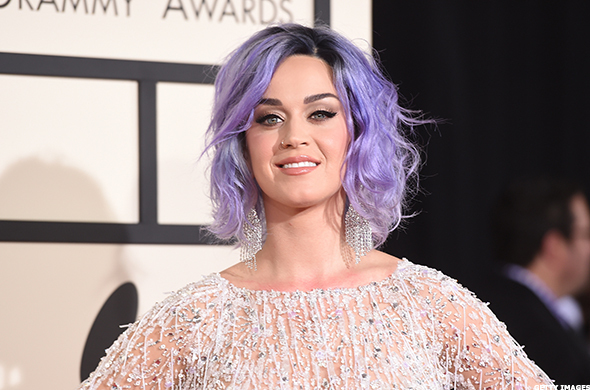 Pop music megastar Katy Perry sat down with billionaire investor and Berkshire Hathaway (BRK.A - Get Report) (BRK.B - Get Report) CEO Warren Buffett recently, and the two seem to have talked more than just Grammy nods. Perry wrote on Facebook Inc.-owned (FB - Get Report) Instagram Wednesday morning that she and the Oracle of Omaha discussed cryptocurrency. The conversation came just before popular digital currency bitcoin surpassed $11,000 in value early Wednesday. While Perry is more widely known for her on-stage performance than her market performance, she's become a veritable businesswoman since taking the U.S. airwaves by storm about a decade ago. Perry earned $33 million last year, according to Forbes, and has an even stronger 2018 teed up with endorsement deals inked for Procter & Gamble Co.-owned (PG - Get Report) CoverGirl, Hennes & Mauritz-owned (HMRZF H&M and a gig on "American Idol." Facebook is a holding in Jim Cramer's Action Alerts PLUS Charitable Trust Portfolio. Want to be alerted before Cramer buys or sells FB? Learn more now.